The NT-1 Large Needle Trap attaches to the volar side of the Operative Armour Barrier. Needle Traps can alternatively be attached to the drape, a hand-held Mini-Mount Shield, or wrist Mount Strap. The Large Trap secures suture needle sizes between 28 mm and 48 mm. 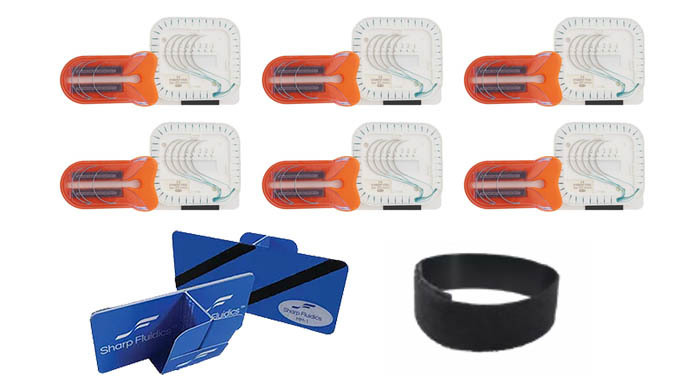 Each NT-1 Needle Trap comes pre-attached to a suture pack mount – just peel off the liner and stick any off-the-shelf suture pack onto the adhesive pad. The Needle Trap and suture pack assembly is ready to attach and go!